We hope you’re having a relaxing summer! We’ve been busy in Write the Docs land, planning our European conference, and also trying to document our internal processes a bit better. At the conferences we try to be very explicit about our Code of Conduct and who can enforce it. Up til now, we haven’t been doing this nearly as well as we should in our online channels. We are hoping to change that going forward, so that we can make sure that all parts of the Write the Docs community are inclusive and welcoming places. We have built out a team page that lists all of the roles that people currently play in our community. This doesn’t include the wonderful meetup organizers or conference organizers currently, but we’re in the process of more formally documenting those roles as well. We hope that having explicit teams and points of contact will make it both easier for people to know who is doing what, and also give people who want to volunteer better points of contact. 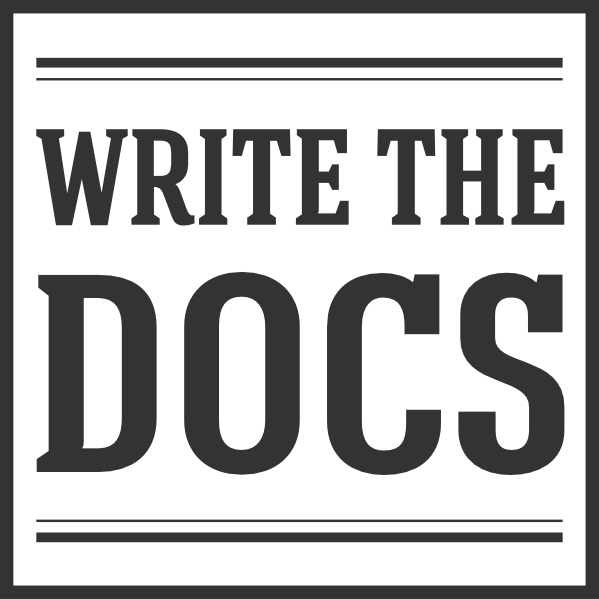 Write the Docs is a fully volunteer effort, and we really do appreciate everyone who’s involved in our community. Even chatting in Slack or the Forum, or attending a meetup or conference, you are helping to build the wonderful community that we have. Thanks to everyone who is formally and informally involved in the effort. We hope everyone continues to have a happy and healthy summer.